If anybody uses the solutions/tips/ideas from jenmadeit.com, shoot me an email, and I’ll post it here. 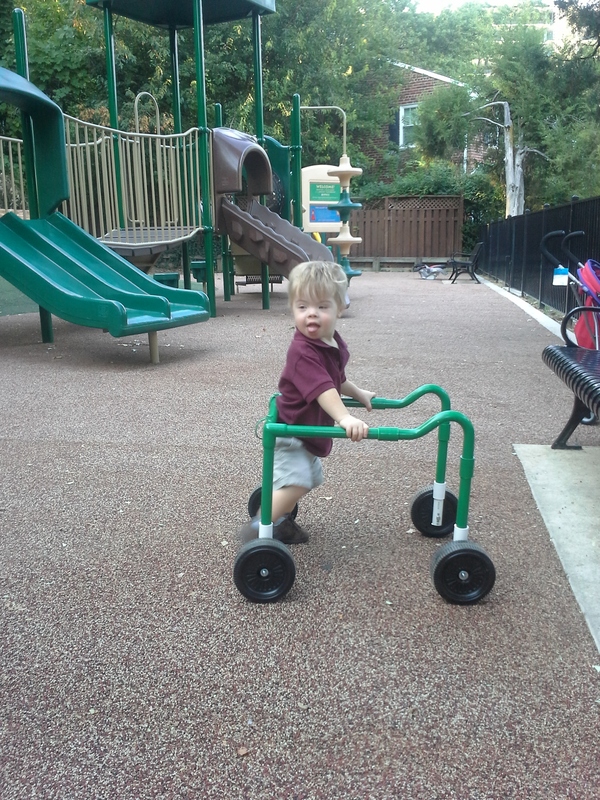 In just over a month since Arlo started using the walker – he has taken his first independent steps. Just a few small ones, and it was one of the most joyous moments in our lives. It didn’t take him long to fall in love with the walker. He went from reluctance to adoration within days. Now he is running in the walker and we’re chasing him around the dog park. We take the walker everywhere. It’s lightweight and durable and hooks on to the front of the stroller – we can also just throw it over our shoulders. We went to the zoo recently and he was more interested in walking than the animals. Everyone comments on how great it is. And if Arlo leaves it alone for a second – all of the typical kids swarm to play with it. The walker is by far the best tool we’ve added to Arlo’s therapy arsenal. Jennifer – thank you so very much. 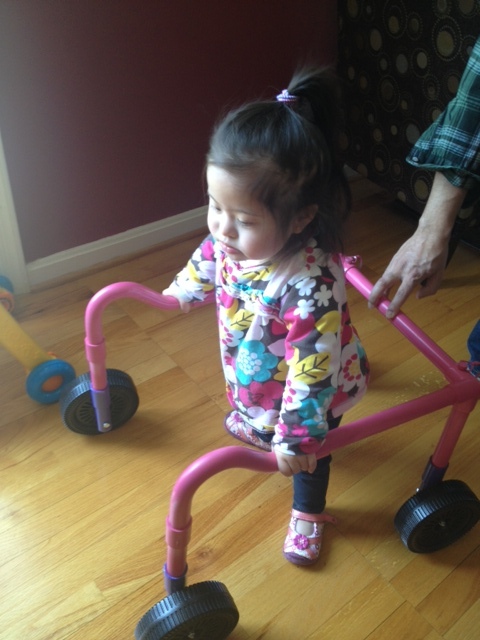 Tessa is still getting used to the walker. But hopefully she’ll be running around in no time.